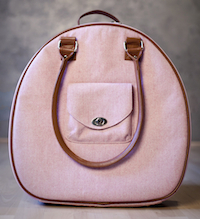 Following on my post about back to school bags for little kids, I thought maybe I should get a new bag. I'm not going back to school, per se, though I am teaching a class this upcoming term - that counts, right? 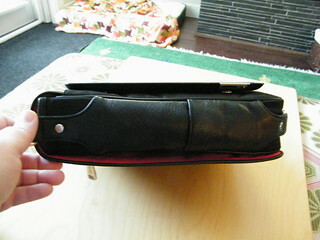 I recently found this - the Stash Messenger from mariforssell's shop on Etsy. I am a sucker for the Herringbone tweed. Looks really classic. Perfect for back to school. Adore it. Only $125 USD. 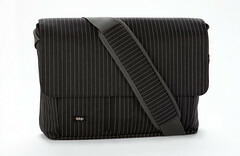 mariforssell also has messenger bags in some great plaids and other heavy wools. Check them out. 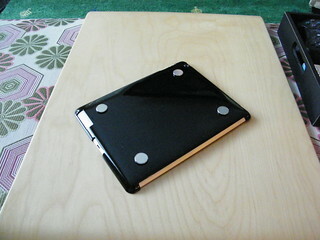 More great products on the netbook front. 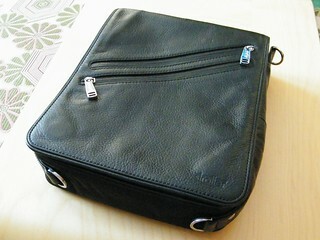 Stylin' bag design shop be.ez has created some great sleeves and messengers (both vertical and horizontal) for netbooks. 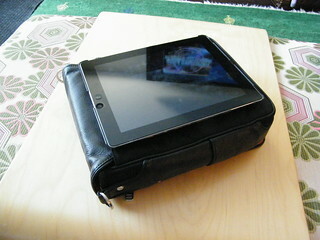 Get the story on their sassy LArobe netbook sleeve (it just looks and feels SO good) as well as their surprising LEvertical LimeArt Messenger. 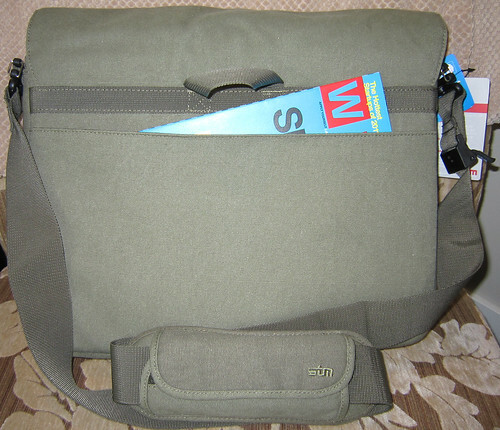 Skooba has a new netbook messenger bag - and it's pretty hot! More news from Skooba. In addition to their great design contest that is going on right now (deadline is November 20th! 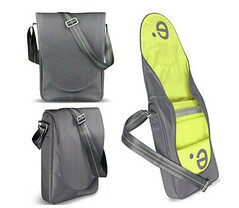 ), they have also just announced the addition of a great new messenger bag specifically designed for folks who carry netbooks. 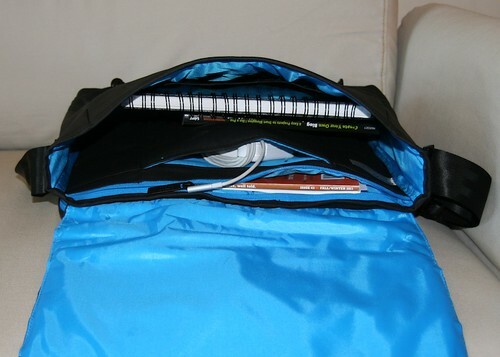 Get the full scoop on the Skooba Netbook Messenger. 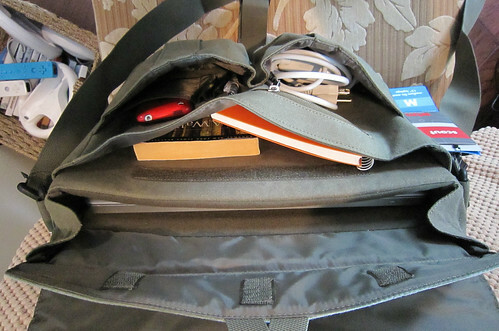 The Expand-It sacrifices a bit of space for style, but so long as you're not intending to carry your life in your bag, it's a good bet. 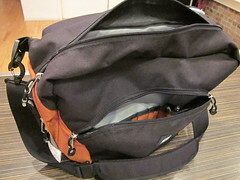 In fact, for commuters who depend on public transit, the bag's low profile design is a blessing on crowded routes. 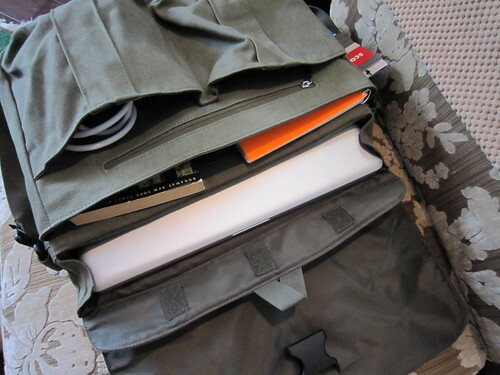 The bag itself has a full-size interior compartment with a removable padded laptop sleeve for the days when the laptop stays home and the gym clothes come out. 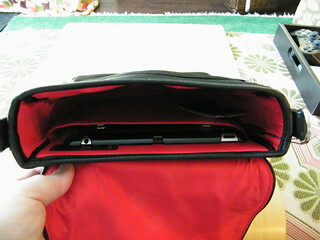 There is a nice assortment of zippered and snapped pockets under the flap. 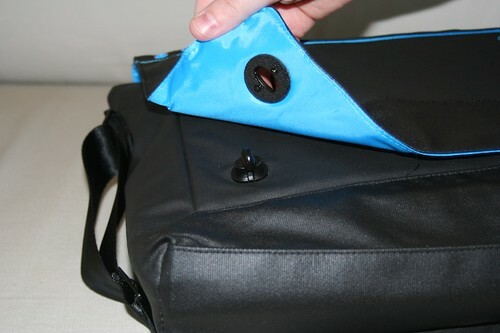 As the name suggests, the Expand-It also expands by opening the zipper that runs along the bottom and both sides of the bag, opening up a bit more capacity. 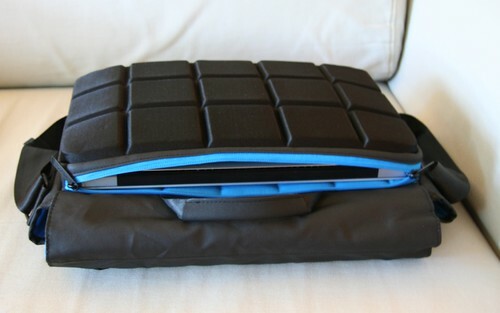 The padding on the strap is cushy enough to be comfortable for a commuter; and the adjustable strap allows a cross-body carry. 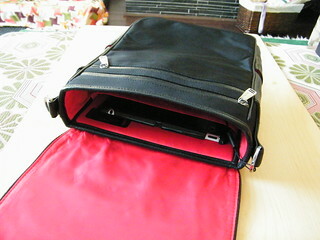 You can read the full review and see several more pics over at my Laptop Bags for Men lens.